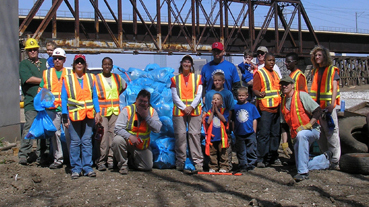 organizations, and the city to help realize a vision of a safer, cleaner, and healthier environment. A healthy urban forest is essential for maintaining the quality of air and water in the Dallas metroplex. Come check out Groundwork Dallas and get involved with our fun and beneficial approach to a better quality of life, right in our own backyard. the objectives of our national organization Groundwork USA. Find out about Groundwork Dallas and the results of all our hard work and great partnerships. Ready to work? Come to one of our many weekend work days and be ready to get dirty. Groundwork Dallas is one of 22 approved local trusts in the Groundwork USA network. We are a nonprofit 501C (3) organization. All donations are tax deductible. Photography provided by Scot Miller.